LOCATION - The beautiful waters of Grand Lake, Colorado. 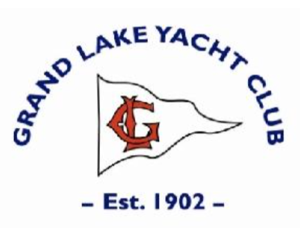 RULES - The regatta will be governed by the Racing Rules of Sailing (RSS) and as modified by the National Class E Scow Association (NCESA) and the Grand Lake Yacht Club (GLYC). 8:00 a.m. - 10:00 a.m. - Registration, Coffee and Pastries at the Club. No starts after 3:00 p.m. NUMBER OF RACES - 5 races will be attempted. One race will constitute a regatta. SCORING - Racing Rules of Sailing Low Point Scoring System will be used. AWARDS - The top three boats will be awarded prizes. First Place qualifies for 50th Blue Chip Regatta. FEES - Registration fees will be $100.00 for each boat. Registration will include Friday evening festivities, lunches on Saturday and Sunday, and dinner on Saturday evening. SAILING INSTRUCTIONS - Sailing instructions will be available at registration and at the Competitor's Meeting. REGISTRATION - Click HERE to register. Please login when you register to reduce credit card processing fees and to eliminate the re-entry of your contact information.